Interplay Software S.r.l. proudly used Wikitude Augmented Reality technology to power their Android and iOS device app that guided visitors during their visit of the cross-country stadium of Lago di Tesero. With this custom app, Interplay Software S.r.l. put a virtual guide in the pockets of every event attendee, and ensured that they were never lost. The thinking behind the app was that the main facilities were available to visitors on a highly detailed map within a browser, but the information about these facilities was fairly scant. With the mobile app, Interplay Software S.r.l. now had the opportunity to use Wikitude’s technology to expand upon the available information and include geo-referenced data that could easily guide visitors to their selected facilities and races. Additionally, Interplay Software S.r.l. 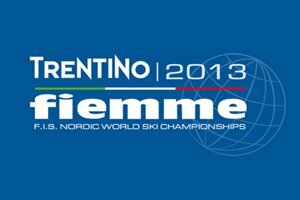 took advantage of Wikitude’ Image Recognition technology to allow users to “Discover” official videos published by Fiemme 2013 by pointing their mobile device at any Fiemme 2013 logo. To speed up development even further, Interplay Software slr used a cross-platform approach via the Titanium plugin. The firm reports that they ran into a slight problem when creating a Titanium modul to be used within the titanium environment, but that Wikitude’s support team greatly aided in solving this issue, and had the team up and running in minimal time. The Fiemme FIS Nordic World Ski Championships organization has been extremely happy with the app, particularly the Augmented Reality component according to Interplay Software S.r.l.. They report that Fiemme has already requested an accompanying app for the 2014 season, with an even heavier focus on utilizing the Augmented Reality features.